AKO-Bicol Party-List Rep. Rodel Batocabe is definitely part of the “in” crowd. 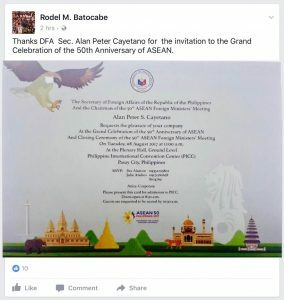 Yet again, the affable politiko was invited to an exclusive gathering, in particular the grand celebration of the 50th anniversary of the Association of Southeast Asian Nations (ASEAN). “Thanks DFA Sec. 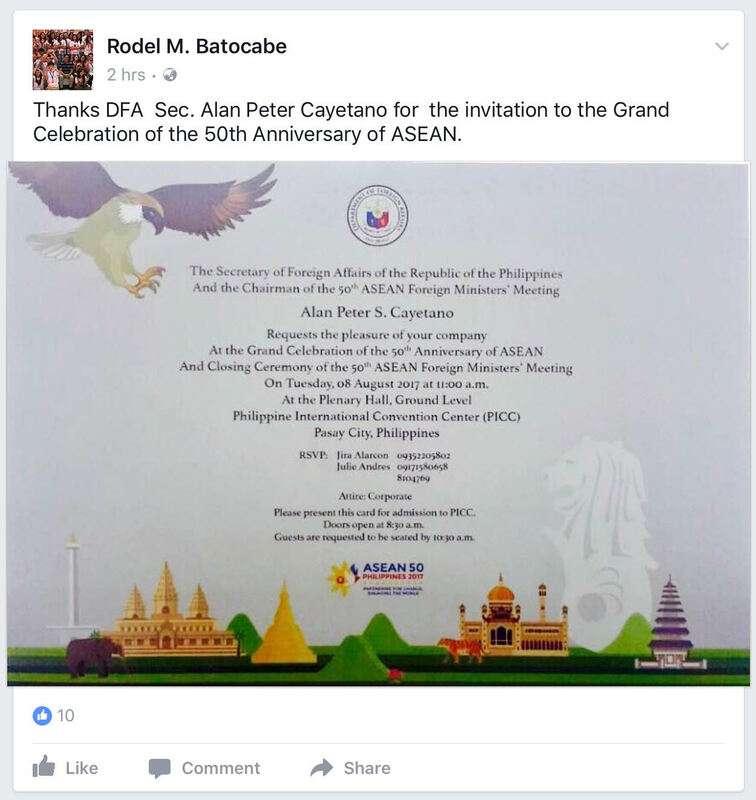 Alan Peter Cayetano for the invitation,” he wrote on his Facebook, referring to the former senator. Given how likable Cong Rodel is, it’s not hard to imagine that he’ll be invited to every celebration of note.